*Digital edition includes bonus track 'Splénétique'* Rafael Anton Irisarri's best known project, The Sight Below, returns with a follow up to the 2008 debut, Glider. 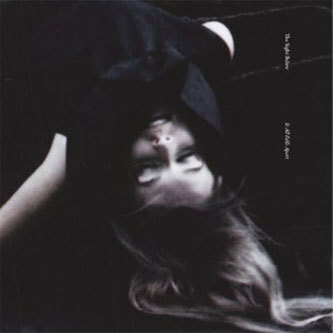 The album garnered praise across the board for its integration of rich ambient textures with a technoid sense of urgency, prompting many to hail Irissari as a successor to Wolfgang Voigt's Gas project. 'It All Falls Apart' underlines that such comparisons don't really tell the full story when it comes to The Sight Below's music. The two opening tracks, 'Shimmer' and 'Fervent' establish a beatless soundscape of immense depth and scope, demonstrating a kinship with shoegaze or dream-pop style guitar-based ambience. The likes of Kevin Shields and Robin Guthrie have probably had as much impact on Irissari's sound as any Wolfgang Voigt record. The first beats arrive during 'Through The Gaps In The Land', fading in through the nebulous mesh of electronic tones, blurry, abstract guitar and field-recorded sources. The sound is incredibly warm and punchy, and paradoxically it convulses with massive amounts of energy depite retaining the serene ambient feel. 'Burn Me Out From The Inside' rubs shoulders with The Field's brand of warm, symphonic dancefloor sounds, preserving a deeply rooted kick drum-generated sense of propulsion whilst spinning through swirling electronic basslines and clouds of organic ambient matter. Next, 'It All Falls Apart' might be said to echo the kind of horizon scorching drone architecture of Fennesz or Tim Hecker, expanding to vast proportions and casting off the 4/4 shackles for a moment. One of the album's biggest surprises, 'New Dawn Fades' is a Joy Division cover, aided by the vocals of Irissari's fellow Seattle artist Tiny Vipers. The Sub Pop singer-songwriter lends the record its only vocal presence, adding a further layer of seductive iciness to the album before 'Stagger' drags you off into a glorious thirteen-minute, cinematic dub finale. It All Falls Apart is an outstanding sophomore album - a record that's sure to heighten Rafael Anton Irissari's already consoderable reputation.